24×7. We’re there when you need us. At Denmark Technologies, we are dedicated to providing state-of-the-art IT support, service, and products that allow our clients to get ahead of the competition and achieve greater success. Denmark Technologies is an IT support company that was established in 2003. The company founder has been providing IT services for the last 25 years. Our team has experience in Mac, PC, and Linux. Our goal is to be known as a company you can rely on, 24/7. Denmark Technologies specializes in providing IT support for small businesses in the New York/Westchester/Long Island areas. We can take care of all your technology needs. We work remotely and on-site. 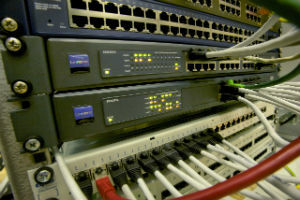 We install and support servers, networks, workstations, and everything in between. Denmark Technologies offers services ranging from Desktop and Server installation and support, network architecting and design, project management services, low voltage cabling and vCIO services. We also provide other IT services and solutions designed for small and medium sized businesses. Technology services from Denmark Technologies are designed, created, and implemented with your unique business needs in mind, so you know you’ll see a return on your IT investments today and in the future. Expert IT Support from Denmark Technologies takes the focus off your technology problems and puts it back on what really matters – your business. Discover why so many businesses are turning to Denmark Technologies for the best and brightest in IT Support.